Unfortunately the Holiday Train won't be stopping in St. Cloud this year, but the good news is that we won't have to drive too far to see it. Here is a layout of where it will be and when in Central Minnesota! the train arrives and pulls to a safe stop in front of the crowd. The stage door lowers and the band opens with its first song. After that, a brief presentation takes place with local food bank officials and other dignitaries. Once complete, the band resumes performing a mix of traditional and modern holiday-themed songs. The whole event lasts about 30 minutes. Once the band plays its farewell song, the stage door closes, and the train heads off to the next stop. 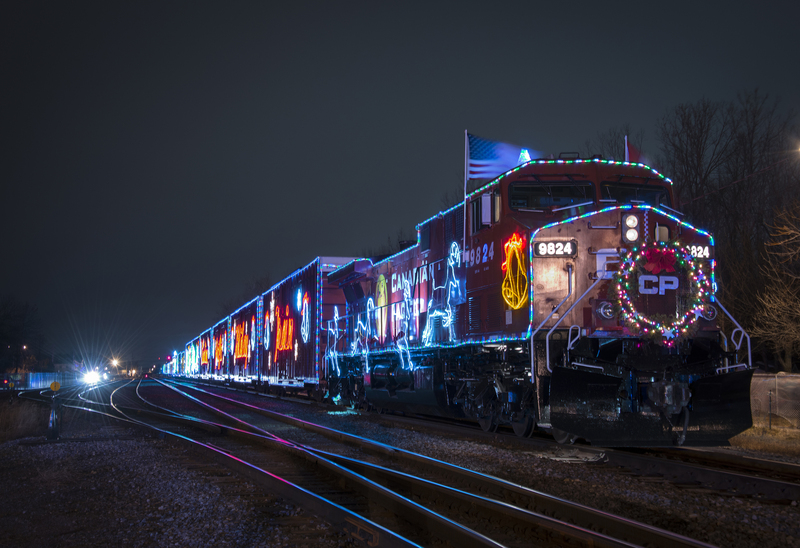 Get all the details on the 2018 Holiday Train rolling through Minnesota here! Happy almost holidays!